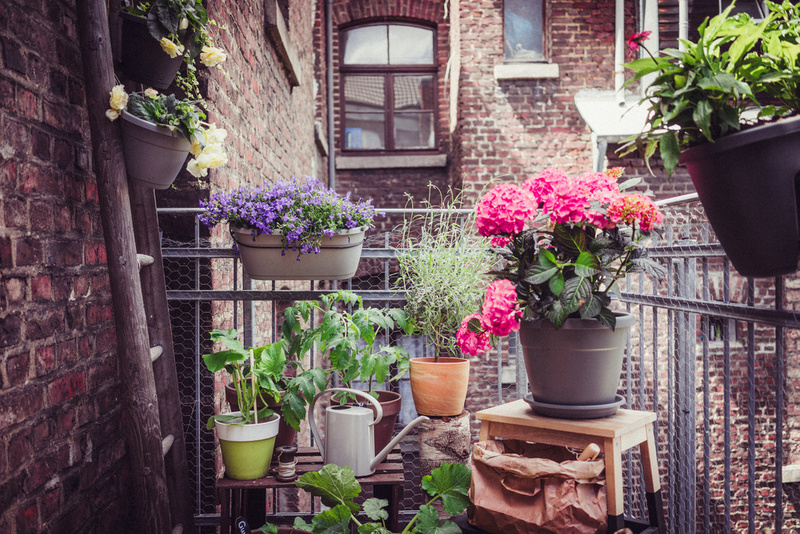 Mooiwatplantendoen.nl has conducted its third national survey to measure the ‘green content’ and satisfaction amongst balcony and patio owners. The four major cities of Amsterdam, Rotterdam, Utrecht and The Hague were thereby scrutinised closely. The survey shows - amongst other things - which city has the most green balconies, roof terraces and patios, what plants people want, what they spend on greenery, and what rating they give their ‘outdoors’. The Patio and Balcony Survey 2018 was carried out by Marketeffect market research agency amongst 1611 respondents aged between 18 and 88 in Amsterdam, Rotterdam, Utrecht and The Hague with a roof terrace, patio or balcony. A patio refers to a patio or small garden up to 50 m². The survey took place between 15 May and 4 June 2018. The proportion of plants has risen compared to last year, from 70% to 76%. On average we give our balcony, roof terrace or patio a rating of 7.2, which means that the average satisfaction level remains unchanged. We’re slightly more inclined to give a 7, and slightly less inclined to give an 8, 9 or 10. Flowering plants were more popular last year (2017: 37%, 2018: 32%). 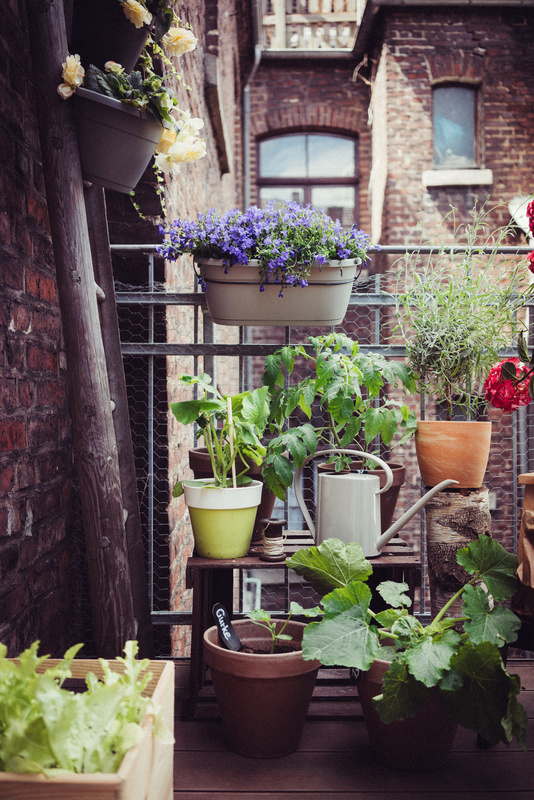 On the other hand herbs, vegetables and other edible plants on balconies, roof terraces and patios are more popular in 2018 (8%) than in 2017 (4%). Amsterdammers have the most plants on their roof terrace, patio and balcony compared to Utrecht, Rotterdam and The Hague. 70% of the balconies, roof terraces and patios contain greenery. 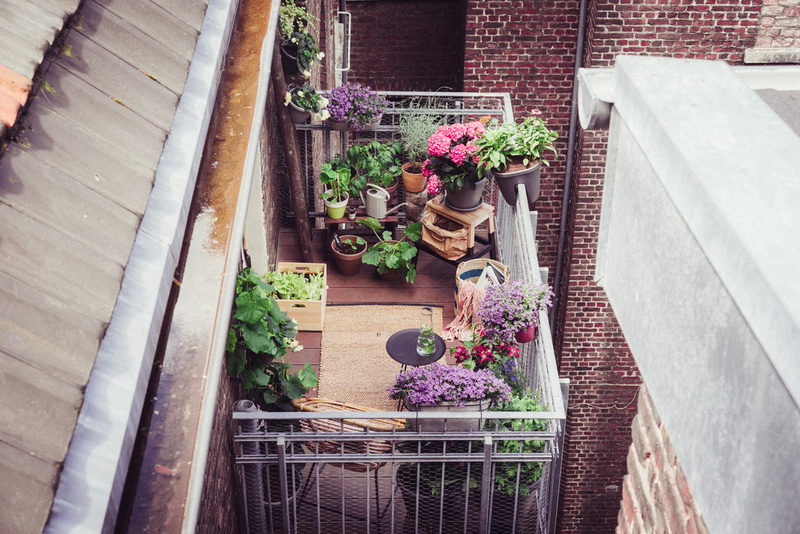 Of these, almost a third have more than 15 plants on their roof terrace, patio and/or balcony (27%) On average Amsterdammers spend 66 euro in order to get them ready for summer. And how do they rate their balcony, roof terrace or patio? With an average rating of 7. The Patio and Balcony Survey 2018 shows that residents of Utrecht are most satisfied with their roof terrace, patio or balcony: they give it a rating of 7.2. This is despite the fact they spend the least time and money on them compared to the other big cities. They devote an average of 0.9 hours per week to their roof terrace, patio or balcony, and spend an average of 47 euro on preparing for summer. In The Hague they devote the most time to their balcony compared to Amsterdam, Rotterdam and Utrecht, namely one hour and 20 minutes per week - despite the fact that The Hague has the smallest number of balconies. 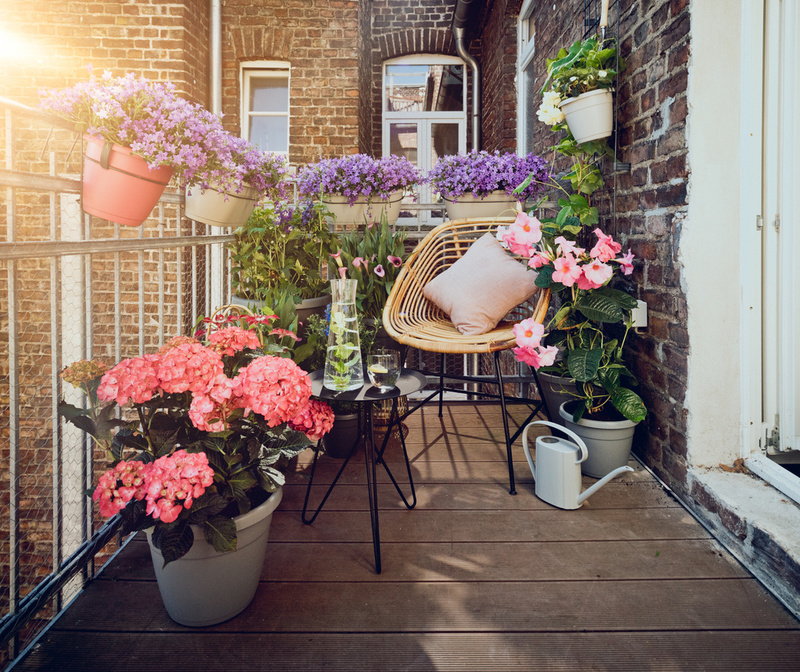 55% of balcony owners have plants outside, although this figure is much higher for patio owners at 91%. Residents of The Hague mainly view their patio or balcony as a place to relax (53%) and give their ‘outdoors’ an average rating of 6.8. Rotterdammers are least satisfied with their roof terrace, patio and balcony. The reason for this is that it’s too small and too old. Could this explain why they have the least green fingers in Rotterdam? More than half (51%) indicate that they do not have any plants on their balcony. The survey results from the Patio and Balcony Survey 2018 can be found in the infographic.